They don't have a manager and will have another summer free of European football next summer. But Ger O'Brien is confident that the good times, and the big crowds, can come back to Richmond Park as the Inchicore club are finding their feet again. Tonight is a derby night at Richmond, Pat's hosting Shamrock Rovers, but there's nothing of consequence at stake, as Rovers are already guaranteed Europa League football while Pat's can neither qualify for Europe nor be relegated. O'Brien, caretaker boss since Liam Buckley left the club last month, says there is something to play for. "Some of the players are auditioning for themselves and it's important that, whether they are at St Pat's or somewhere else next year, their application has to be right," says O'Brien. "Whoever the next manager of the club is, I am sure he is looking at things now and looking at the squad, and a game like this is important, if you lack motivation for a game at home to Rovers you have a problem, if you are first or ninth in the table it's a big game." 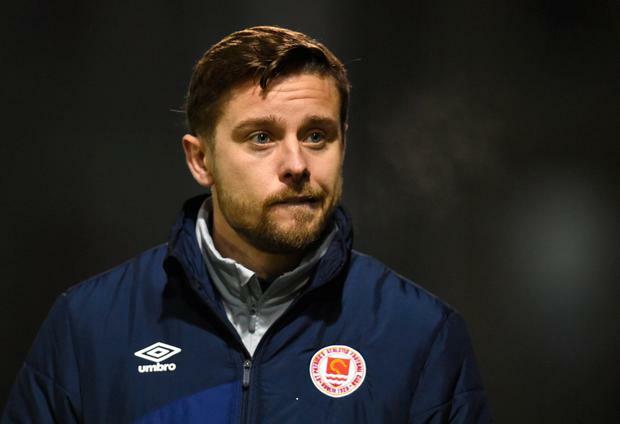 O'Brien's name is in the frame as a successor to Buckley but he insists the time is not right now for him to go for the job as he has to start his pro-licence coaching qualification, though in his role as Director of Football he will have a role in a new regime. Whatever about the league table, Pat's have lost ground to their Dublin rivals Bohemians and Rovers in recent seasons in terms of building a support base and the PR battle. The Hoops and the Gypsies are also ahead in terms of stadium facilities, as Rovers added a new stand to their Tallaght home this season while Bohs plan to be back in a revamped Dalymount Park by 2021, but the Saints' hopes for a (badly needed) new ground remain, well, grounded. O'Brien feels that Pat's are not standing still but are tipping away at curing their ills, just not with the same profile as their city rivals. "Stuff gets highlighted by other clubs on social media, we are doing our business under the radar but we are working hard," O'Brien told The Herald. "Dave Morrissey, our community officer, is working really hard, getting into local schools and clubs and our underage teams are second to none. "Only ourselves and Shamrock Rovers have underage teams in the semi-finals at U15, U17 and U19 levels. the U15s are at home to Cork City in the Cup final on Sunday and are on for the double. "The community work is going under the radar a bit as the club did neglect that a bit, especially during the economic downturn when funding had to be cut. "But we're conscious of that, there is plenty happening off the field and we're happy enough to build bridges. Sometimes people talk too much and don't deliver, at Pat's we are keeping things quiet and that's the best for us at this stage. "Garrett wants the club to have a stadium and a training ground and there is work going on in the background, we're not just sitting on our hands, work is being done and hopefully all our hard work will bear fruit. "We are in schools, doing homework clubs. We were in a Cup final in 2014 and sold 9,000 tickets through the club alone, so there is a support base there, it's a case of trying to capture that imagination."